You are here: Home › Blog › Lean › Lean Management › How Innovation and Lean Management Work at Harley-Davidson ? 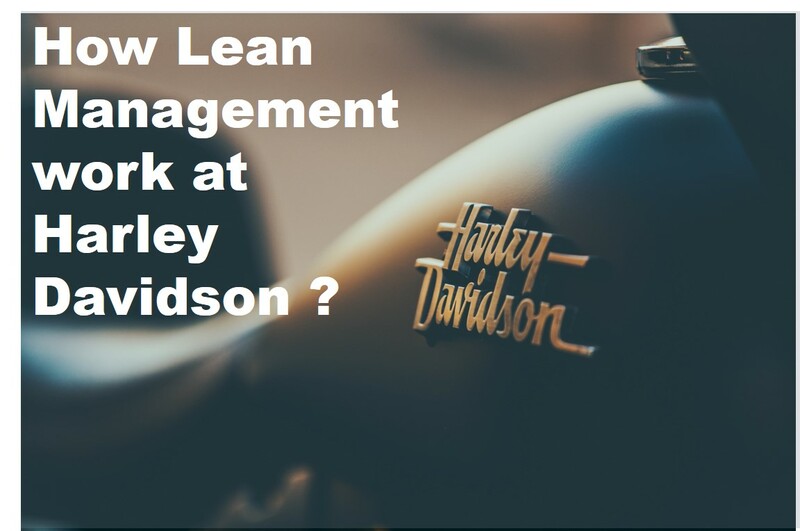 How Innovation and Lean Management Work at Harley-Davidson ? WE understand that sometimes, lean management and innovation can hardly coexist. How can you streamline and reduce costs and variation when you’re always developing something new? But we are also glad to let our readers know that it can actually be done; Harley-Davidson has proved to be the case study you should look at. If your company exists in an industry that does not require constant and rapid innovation, you could be either lucky or in a dying industry. But at Harley-Davidson, it was innovate or die. With other companies from overseas competing directly for a small market, they had to do something good, something fast and something solid. CEOs at Harley-Davidson decided that product development simplified was the way to keep their customers and maintain their dominance. Even if they started this trend in the 80’s, it’s proved effective and the right decision; the world is fast, interconnected and digital. People have more money and want to spend it, and you have to make the decision easy for them so that they spend it on you. Harley-Davidson decided that they could capture the market by keeping up with the pace of technology. 1. Harley-Davidson adheres to innovation by letting creativity flourish and generate learning within the company. No one’s opinion is disregarded. The company holds regular meetings where anyone regardless of rank or job can input something in product development. The firm knows that it cannot innovate in a vacuum but its leaders also understand that innovation must be controlled as part of lean management. They create a space and time for innovation or at the very least, collaboration. A learning organization always thinks for the long-term, uses the mastery of all of its employees, is open to paradigm shifts and reworking of mental models, builds a shared vision with everyone from the CEO to the clerks and engages their team in dialogue without fear. 2. Harley-Davidson avoids panic by accepting constant change. For a motorcycle company, it’s ingeniously adaptive. It leads the pack because it knows it has to go with the customer’s flow and the current trends. Whereas other companies resist change all the time and try to impose their products on clients, Harley-Davidson is ready to give the customer what he or she wants and develop ideas on that. Since they’re fluid, releasing so many motorcycles in a year just got easier. 3. The company doesn’t want to put fires so it always institutes good, sound strategies and plans. Fires in production and in other aspects of the company is inevitable. Lean management seeks to reduce these to the minimum and at the same time, innovation allows managers to respond to these concerns swiftly and smartly. The two ideas can coexist, it’s just a matter of providing context. Although fire fighting may be inspiring and motivational but the fact that the fires happen so often is going to adversely affect your company. 4. Leaders are trained to be effective and think critically so that the system is just as effective. When Harley-Davidson adopted lean management, they made sure they had leaders who could think critically about implementing it and following-through—even in the face of upper management resistance. What’s funny about their story is that there was pushback from both upper and lower management but the Black Belts and the experts handled it. In the end, the efforts of the lean management team paid off! 5. Arriving at the realization that innovation should be grounded on learning and not feasibility. Most of the time, innovators are given free reign; this costs a lot of money. Harley-Davidson did not have a lot of capital so they said they would stop projects that drained too much but not let the efforts go to waste. Each project despite success or failure was a learning experience and they could use the salvageable components on new innovations. Lean management happened in the firm when they stopped looking at feasibility and instead focused on strategy and anticipating variable determined from good analysis. Work smarter, not harder. How to Make Kaizen Work for Your e-mails ?